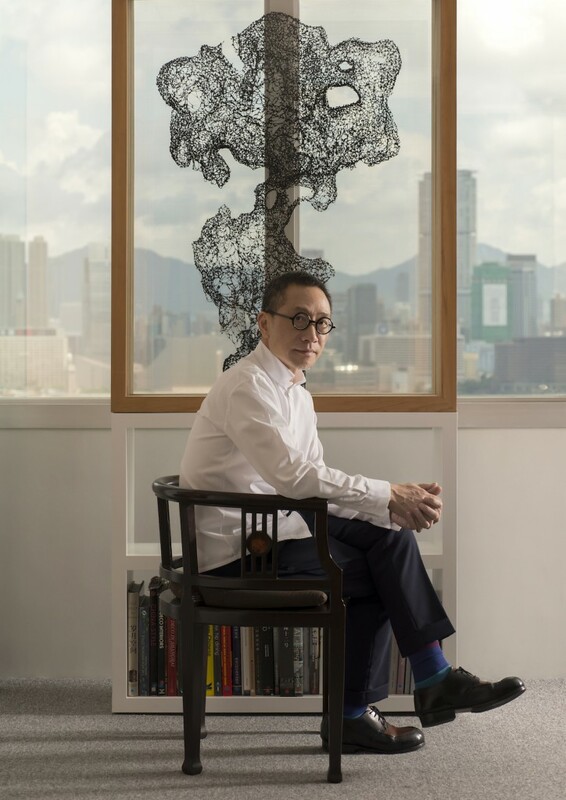 Working in the creative industry in the past 48 years, the Hong Kong-born design and branding tastemaker, Alan Chan is not only a designer, an artist, but also a collector. Never went to university and never trained as a designer, Chan retains the zeal and rigorousness of an autodidact. 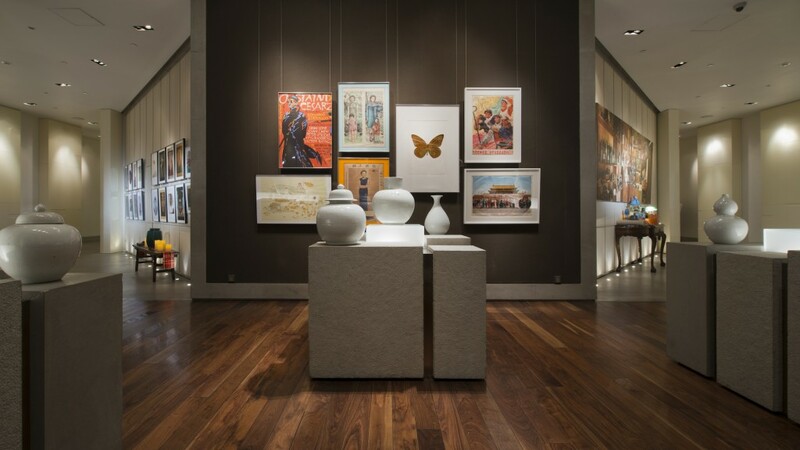 Chan’s design work carries the imprint of an accomplished collector and has won numerous awards. During the hectic Hong Kong Art Week last week, Alan Chan shared with Larry’s List how Sunday markets made him see what true art is, how he incorporate art into his design projects, and why Hong Kong people need art in their daily lives. Alan Chan is a designer, brand consultant, artist and founder of Alan Chan Design Company. Courtesy of Alan Chan. What made you start collecting art? What is the main motivation behind your collecting? One of my earliest influences was the ten years I spent in advertising agencies in the 70s. A lot of my bosses at the time came from places such as Australia, New Zealand, England, or the United States. To them, Hong Kong’s oriental culture was exotic and mysterious. Working in Hong Kong’s creative industry allow them to live and breathe Chinese culture in every aspect of life. In their eyes, Chinese everyday objects such as a pair of chopsticks, a fan, a Buddha statue or Chinese calligraphy pieces are all treasures regardless of the price. I learnt to appreciate collectibles from a Westerner’s perspective, and that an object is worth beyond its pricing. 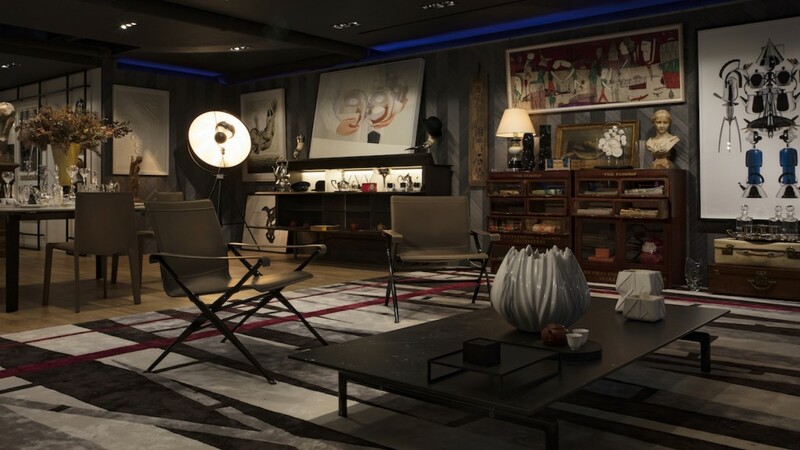 Most of all, your life values can significantly alter how you define a collector item’s intrinsic value, in turn allowing you to cultivate an acquired taste for aesthetics and the unique ability to find beauty. The process of finding objects or artworks that I regard valuable has become very interesting. It is incredible to find different paintings within different price range in an antique market, an art exhibition or an auction house. The variance informs audience of the vastly differentiating eyes in appraising art and allows them to cultivate a sense of appreciation. Such an exercise is indispensable for me as I design and create every day. 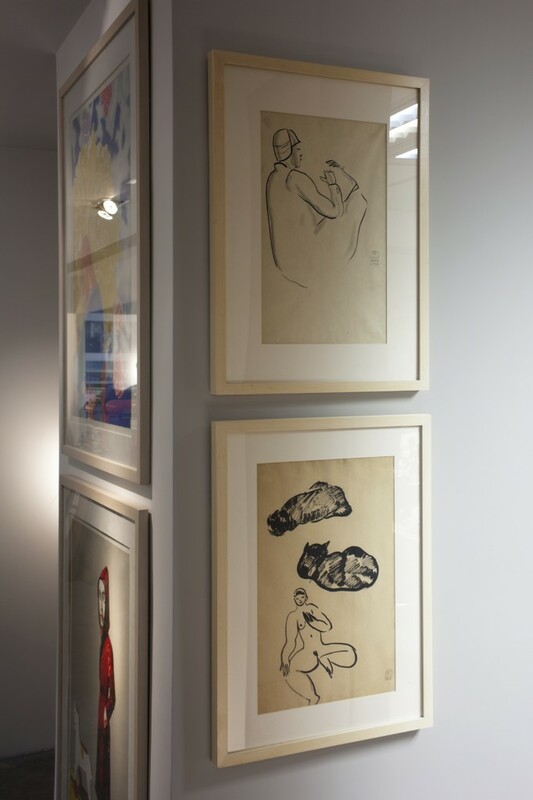 For example: I bought Chinese artist Sanyu (常玉)’s sketches – a set of 6 pieces from Christie’s more than ten years ago. At that time, his works were not as highly regarded for its market potential. I collected it out of the affordable price and pure appreciation. I did not expect the prices of his works to rise a great deal after a decade or so. I think the whole art industry is influential, where one can find great art pieces and observe the appreciation of such collectibles. Sanyu sketches collection. Courtesy of Alan Chan. Sometimes, I visit Sunday markets because art is valued very differently there. For galleries and auction houses or collectors and critics, somehow I feel they define art in a personal and commercial way. In these flea markets, there may be a lot of work by anonymous artists but every now and then you stumble upon art that is just as good as you would find in established art fairs. This constant exercise allows me to judge and see what true art is. 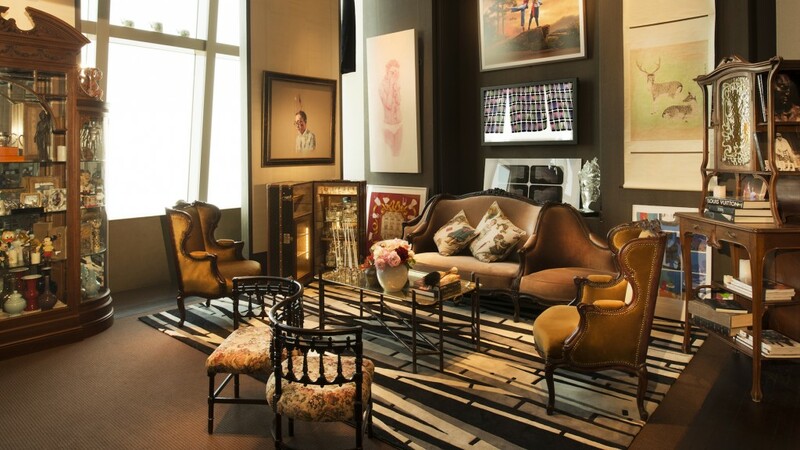 Alan’s Home Away from Home on 86th floor at Park Hyatt Shanghai, 2013-2015. Courtesy of Alan Chan. Sunday markets have always been one of the earliest artistic platforms for me to collect inspirations. However, there was one Taiwanese artist whom I sought out to collect his works earnestly. In the early 90s, my friend collected Ju Ming’s (朱銘) wooden Tai Chi (太極) statue. We then had the chance to visit Ju Ming’s home in Taiwan and saw his handcrafted series of animal miniatures that were not on the market yet. I found his work interesting but treated them merely as handicrafts as his style was not truly appreciated by the art market yet. Little I knew he would become such a great artist. Soon, his works appeared in auction houses and I knew it was then to collect or never. My friend recommended to me a gallery in Taiwan where I bought instantly a wooden Lord Guan statue (關公). It all began from that moment and I fell madly in love with his works and collected various sizes of works.The most recent is a pair of extremely rare wooden pieces “Tai Chi Series” I collected through a gallery in Hong Kong from a set of 10 pieces that was showcased at Max Hutchinson Gallery in New York City 1981. 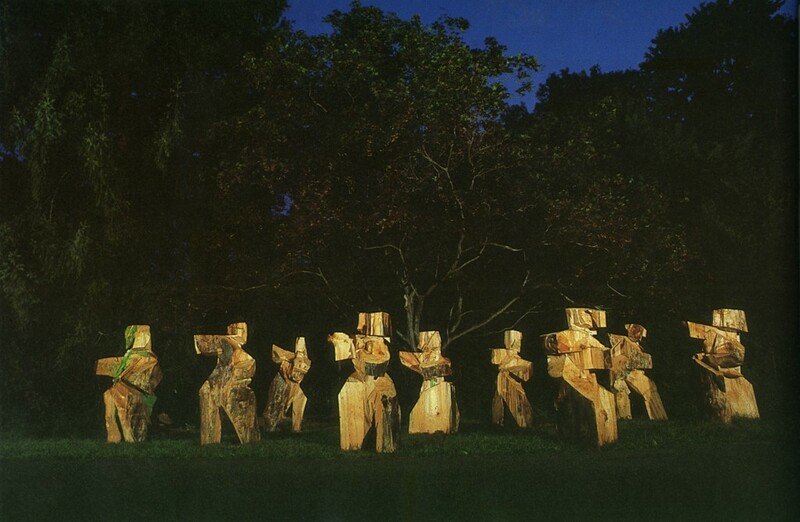 Ju Ming’s “Tai Chi Series”. Courtesy of Max Hutchinson Gallery New York. 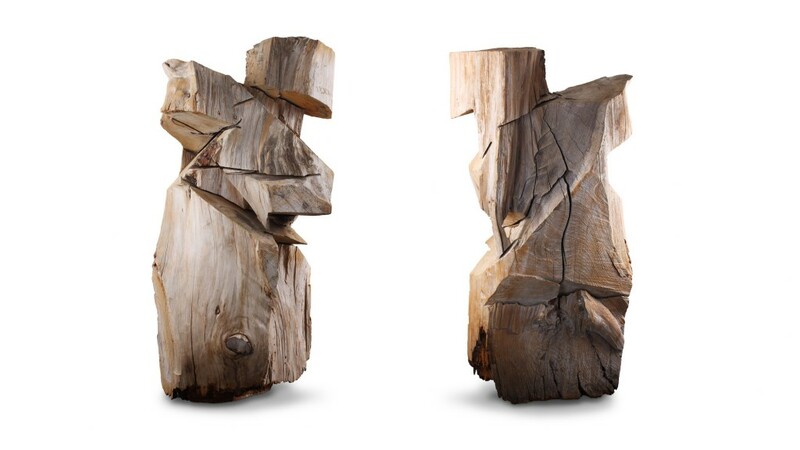 The pair of wooden statues Alan collected from Ju Ming’s “Tai Chi Series”. Courtesy of Alan Chan. I am more interested in emerging artists because I discover new spirits in them and they challenge and testify my eye for good art. Through witnessing the growth of the artist’s creative expressions I can also find inspirations. I once hoped to settle and focus on a particular type of art, but it’s impossible because I run a design business. I need a lot of inspirations to face cross-disciplinary projects. In the end, art appreciation is a continuous passion and device to prompt my creative thinking process in order to come up with new and inspired designs or works. This is the reason I have not stopped collecting. 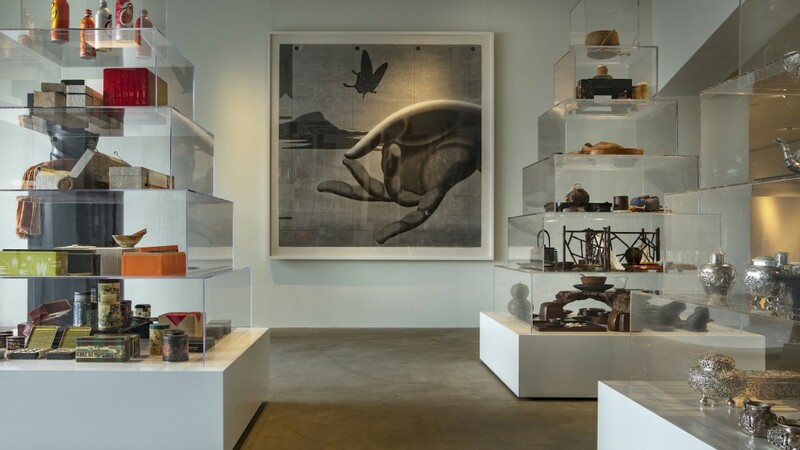 There are indeed too many great works, and except for a few favourite artists like Alexander Calder, Henry Moore, Marc Quinn, Ju Ming and Sanyu who have a consistent appeal to me, I never stop collecting art objects of other varieties. All my collections resonate in a way that they give me creative inspiration from their forms, materials or ideas, and it could be anything like old Japanese bento boxes or tea wares. As much as they take a very simple form, they show delicate craftsmanship and carry the essence of culture which makes them classic product designs. The first kind would be China trade silverware from the 80s. They include mirrors, teawares and accessories. I have around 600 pieces of silverware in my collection now. I bought them largely from London and Paris which were in fact exports from Hong Kong, Shanghai and Japan. They carry western forms and serve their cultural functionalities but are decorated with exquisite eastern motifs and stories which are very inspirational. Like I mentioned, I’m influenced by the western mindset in appreciating Chinese art and I am very interested in the dialogue between East and West. How an artist become inspired by the local culture and forms his/her own technique in creating art and reaching a deeper level is interesting. Recently I purchased a century-old noh play performer wooden statue from Nara in an antique shop in Tokyo. To me, this is art and not just handicraft. I believe the person behind this work is an artist and his soul is within it. More than a thousand. Some items are at home or in office, also where our Gallery 27 is at since 2002. In the recent decade, some of my collections are exhibited at various curatorial exhibitions too. 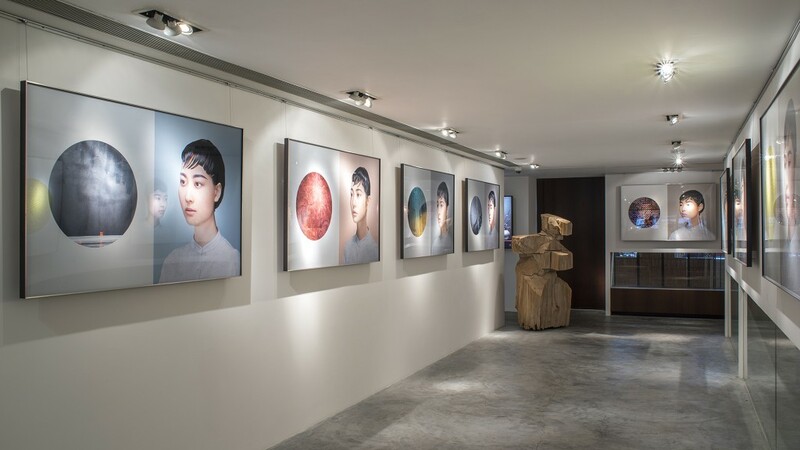 In 2012, we opened Space 27 in Quarry Bay, Hong Kong, a space of 7,000 sq.ft to host different exhibitions. Since opening Kyoto 27 in 2017, I have also displayed my Japanese collections to start a dialogue with local visitors. 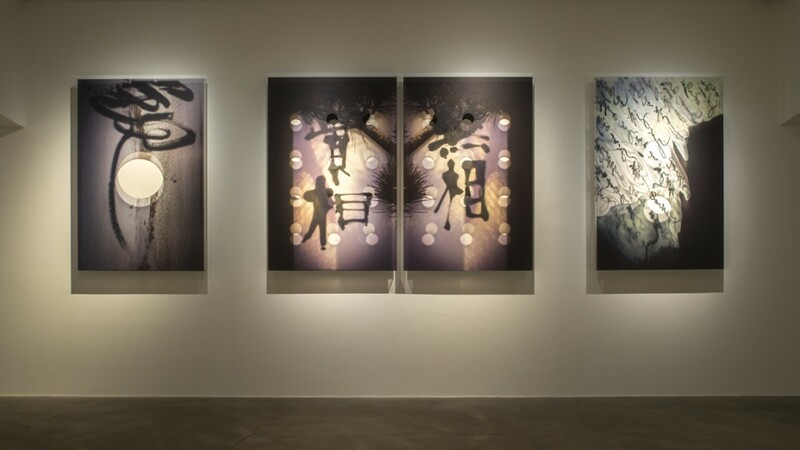 Sori Yanagi Exhibitoon at Gallery 27, 2015 Courtesy of Alan Chan. TEATIME Exhibition at Kyoto 27, 2017 Courtesy of Alan Chan. 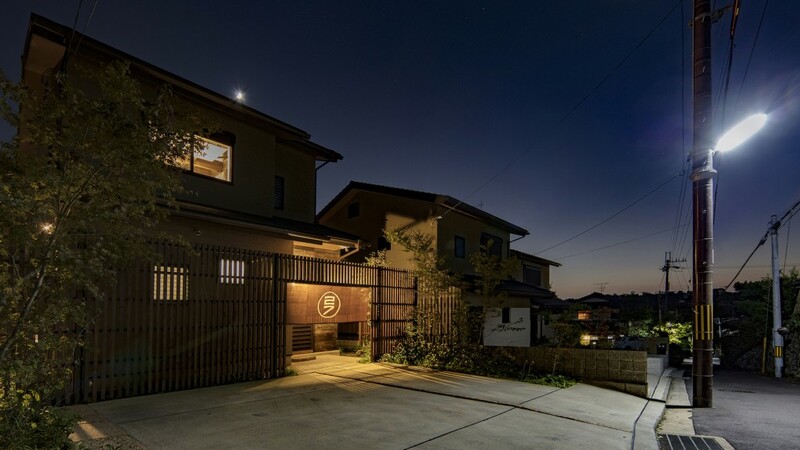 The two-storey gallery and exhibition space in Kyoto is dedicated to showcase private collections and traditional craftsmanship from Japan, China, Hong Kong, Taiwan and other Asia regions Courtesy of Alan Chan. When and where have you presented your art collection publicly? Some of my earliest collection of silverware was displayed in Japan in the 80s and showcased in Hong Kong Heritage Museum in 2006. In 2016, it was exhibited at an Interior Lifestyle Fair in Shanghai as I was invited to showcase my works and collection; it also appeared in Garden 27, my “Fleur Couture” lifestyle concept store of art, design and culture in Shanghai and ‘colourliving’ in Hong Kong. 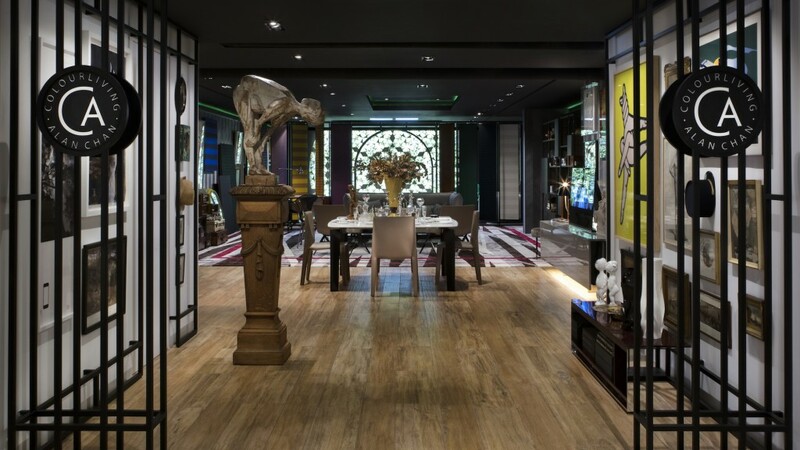 By incorporating art into modern living lifestyle, I am able to showcase a kind of elegant, contemporary lifestyle. It was only recent I discovered what a big collection I have on various objects when I decide to display them at exhibitions. I would like to curate an exhibition of the hundreds of Kyoto dolls my wife and I have collected since the 80s, and discover hidden stories behind. Garden 27 located at the heart of Jing’an District,Shanghai. Courtesy of Alan Chan. An exclusive and exquisite collection of objet d’art sourced by Alan from different Sunday Markets at colourliving x Alan Chan. Courtesy of Alan Chan. How important is it for you to meet up or even build relationships with the artists you collect? It’s a contradicting feeling for me. Sometimes, I do not wish to be so close to the artists of whom I collect from because I do not want their point of views to affect how I see their works. Collection should be viewed from two perspectives. First, you resonate with their works as you gain understanding about the artists’ backgrounds and viewpoints. Second, you captured that feeling when you came upon that piece of work and know it is great art regardless of where it is placed. To find a great piece of art and to like the artist at the same time is not easy. 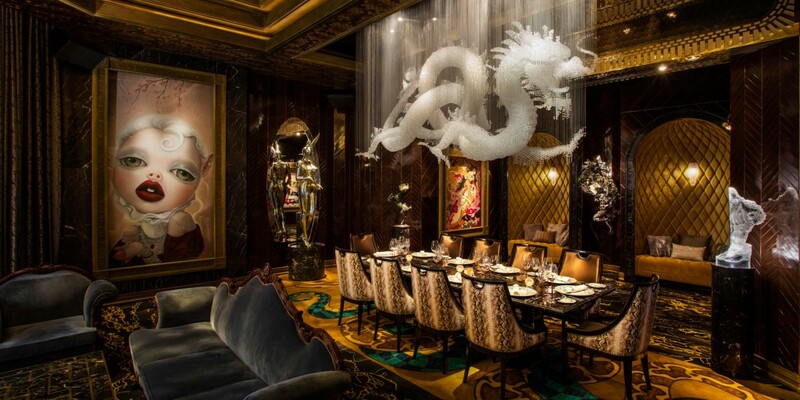 Genting Rouge Private Club artwork by artist Ray Caesar and Hajime Sorayama (on the left) and Dragon Chandelier (middle) set with Swarovski crystals created by Alan Chan Design Company. Courtesy of Alan Chan. 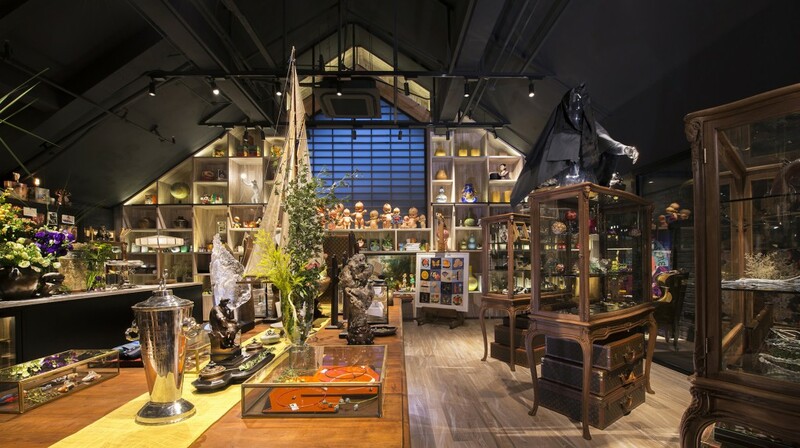 How does collecting inspire you in your design work? 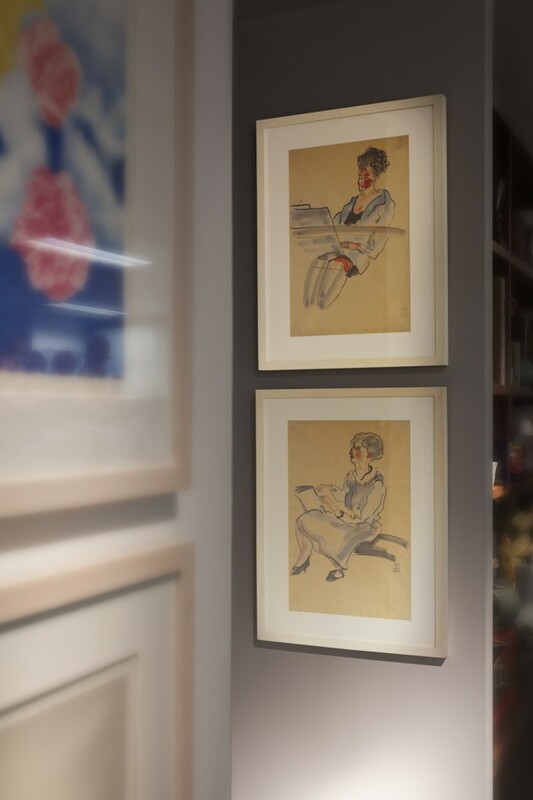 With three identities I have as a designer, an artist and collector, I have come to maintain a clear state of mind and a calm demeanour in dealing with art in my projects. 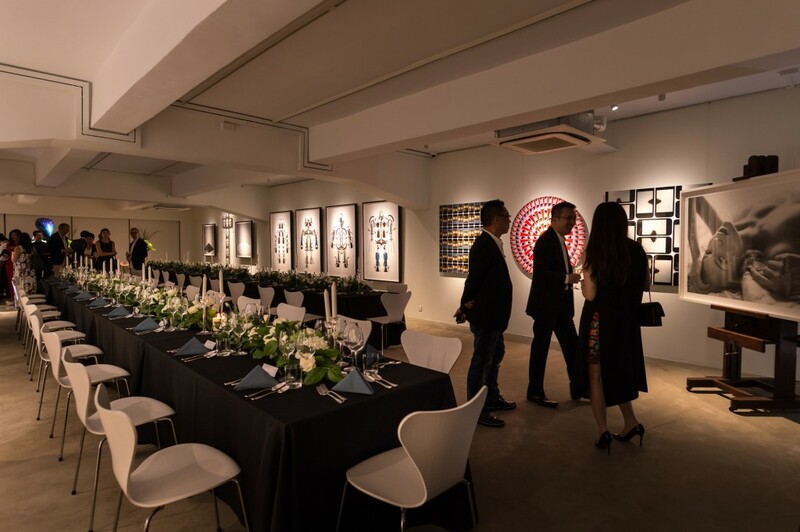 For example, Genting Rouge in Malaysia, a private club for high rollers, is a project of great scale with 20 commissioned artists who are able to encompass a range of artworks. The positioning is established from my angle as a designer, an artist and a collector to work with more than twenty artists. They are artists I have come to known from many years of art festival visits from Art Basel Miami to art fairs in Beijing, Seoul and Hong Kong. I curate this space with the multiple identities I have in order to create the brand positioning, and this is the reason why clients work with me. When I first started collecting I did not do so for investment. I do it because I enjoy it and place art elements in my projects such as fast-food chain restaurants, tea rooms or 5-star hotels. Gradually, I gain the trust from my clients, and I build my portfolio incorporating art into my design projects and this conveys a message: art is everywhere in our daily lives. Art has a strong foundation of cultural heritage, and it forms the base of the brands as well. How is the collecting scene in Hong Kong nowadays? Hong Kong is a professional, mature market with established galleries from around the world. The art scene is one of the signature festival highlights buzzing with a sophisticated class of audience. The tickets for Art Basel in 2017 were sold out on the second day which was unheard of. Hong Kong is a truly cosmopolitan city where everything comes together; where everybody really understands what life is all about because art brings joy and happiness. I look forward to the opening of M+ where Hong Kong could truly become one of the most sophisticated and cosmopolitan art hub in the coming decades in South East Asia or even the world. 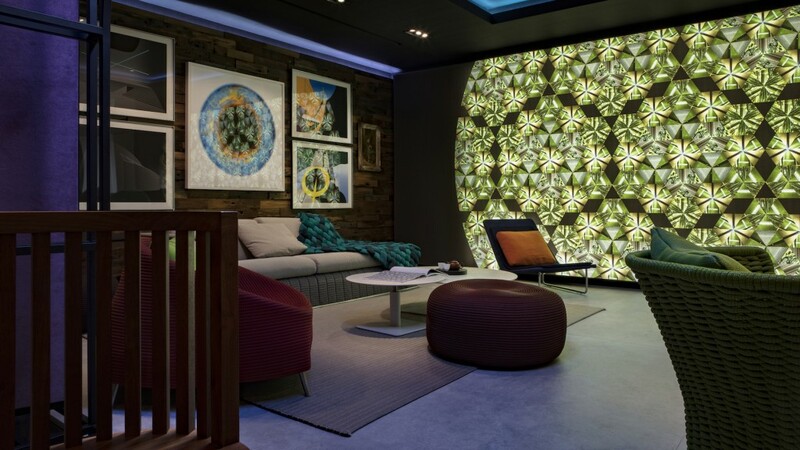 colourliving x Alan Chan is a new concept as a gallery-style home in Wan Chai Hong Kong. Courtesy of Alan Chan. The 1,600-sq.ft space consists of a foyer, dining room, living room and garden. Courtesy of Alan Chan. What motivated you to launch the exhibition and event space, Space 27, in 2015? Hong Kong’s art industry is booming, and I want to use my personal resources to curate exhibitions through my lens – something different from official extravagances. I noticed how Art Basel or hotel art fairs have inspired and motivated a new generation of non-art goers to attend these events and appreciate and buy art. In order to provide more platforms for audience to get in touch with art and to discover new talents, I gave up releasing an entire floor for rent and reconstruct the place to become an event space for cultural and art events – Space 27. We have had Marc Jacobs, Celine, Chanel and Hermes at the event space for launch promotions while providing a platform for young artists. “REALITY” Photography Exhibition with Studio TM at Gallery 27, 2014. Courtesy of Alan Chan. In what ways can your Space 27 contribute to the creative scene in Hong Kong? Since 2002, we established Gallery 27 in our office. In the early years, we have not really curated many art exhibitions. 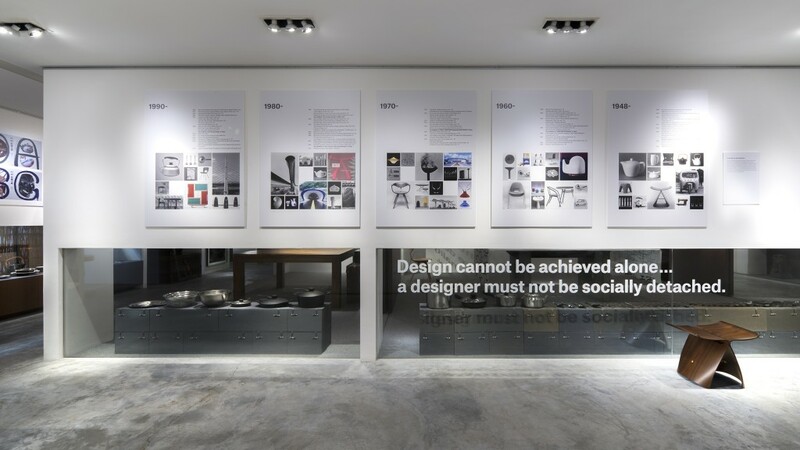 However, as an independent curator in the recent decade, I gradually supported a lot of young artist shows or curated retrospective exhibition for the famous designer Sori Yanagi despite the limited space we have. I realized with this platform I can participate as part of Hong Kong’s creative force and be in touch with younger artists. After the opening of Space 27 in 2015, through bigger space and better infrastructure, our exhibitions grew in scale. I enjoy curating other artists’ works or design-related shows, and sometimes I get involved spontaneously depending on the new young artists I meet. There were times where they inspired me, and I see potential in the work and the possibilities in our collaboration. In turn, with my help they are allowed the chances and resources to realize their dreams on a more impactful scale. In the past, I have curated exhibitions with inkless and Changlin Fashi in calligraphy and photography exhibitions. Coming next during art week, we also have the Departure exhibition with Hong Kong artist Kong Kee. Through these shows, I have been greatly inspired, and I see the possibilities to develop more art or even commercial projects to inspire a larger crowd. Inkspiration Exhibition with inkless and Changlin Fashi at Space 27, 2018. Courtesy of Alan Chan. The Language of Tea Exhibition at Space 27, 2017. Courtesy of Alan Chan. What is your next plan? What do you imagine about your future private museum? Since there is a big space now, I have wondered whether I should develop sustainably focusing on certain projects. I still think I do need more impactful influences to challenge myself consistently in order to embrace more commercial design projects. Therefore, I would encourage myself to try more things, so I do not purposely plan to develop a few ideas I have for this private museum. Working in the creative industry in the past 48 years, I always think art and design is intrinsically the same thing, so I have been hoping to establish a design and art museum. On one hand, I would like to display my collections and projects I have worked on; on the other hand, I hope this could encourage and inspire young artists. Ideally, I would like to set up a foundation for this private museum idea to undergo sustainable development. However, this project is beyond the workings of one individual’s endeavours. This potentially requires a property developer’s investment in such a space for design and art to be fused into everyday life. This could be a space within a mall to allow the public to freely visit. Given the infrastructure support, I am willing to exhibit my collections unconditionally and curate projects. It is a dream I wish would come to realization in the coming 10 years. This is somehow more than just a personal wish; it concerns public education in terms of appreciation of art and beauty. PHOTO|Shanghai Private Dinner at Space 27, 2016. Courtesy of Alan Chan. Can you name an emerging Hong Kong artist who should be on our radar? Lee Kit is a talented young and local artist I have noticed. I have once seen his works during La Biennale di Venezia. I think his work shows local flair and global visions with a strong sense of artistic sensibilities. Do you go to Art Basel Hong Kong every year? How do you think the fair is influencing the local art scene? Yes I go every year. Art Basel is the main influence in bringing together other art events such as Art Central or hotel art fairs. It sets the standards of what an art fair could be like and inspires new and upcoming art fairs. What do you think about the Hong Kong Art Week that just ended? The Art Week that took place in Hong Kong Convention and Exhibition Centre brought in a new class of sophisticated art aficionados. It’s also an opportunity to show the world what Hong Kong has to offer and see that we are truly the springboard to China and the rest of the world. 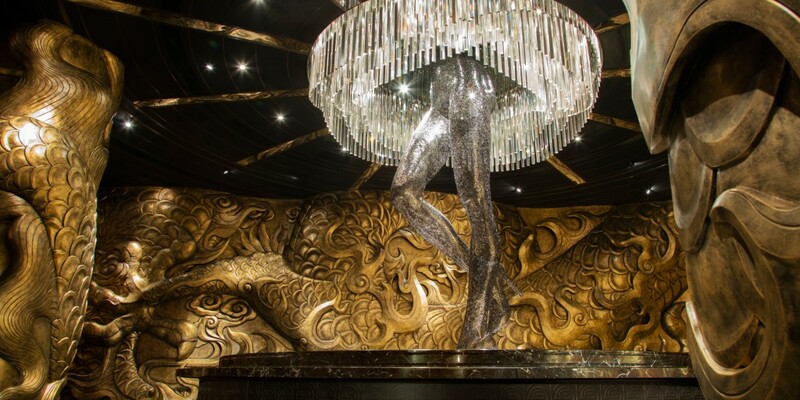 Genting Rouge Private Club artwork by artist Zheng Lu. Courtesy of Alan Chan.